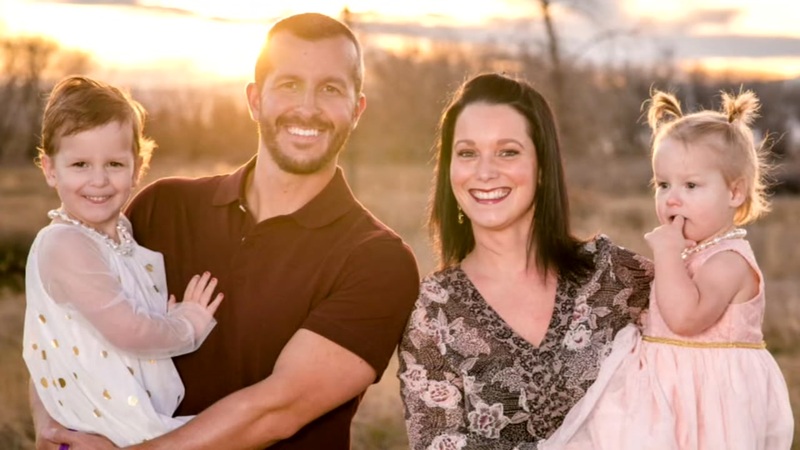 FREDERICK, Colo. (WTVD) -- While authorities try and piece together the investigation into why 33-year-old Christopher Watts allegedly killed his pregnant wife and two young daughters, more information is surfacing about what happened days before the killings. Frederick police said Shanann was dropped off at her home around 2 a.m. on Monday after returning from a work trip in Arizona. During an interview with KMGH-TV, Christopher said he last saw his wife around 5:15 a.m. Monday when he left home. He then said Shanann's friend stopped by around noon asking where she and the girls were. Police said the woman went to Shanann's after she missed a doctor's appointment and then reported the woman and her two daughters, 4-year-old Bella and 3-year-old Celeste, missing. Officers went to the home for a welfare check around 1:40 p.m. Monday and confirmed that the three were missing. The bodies of the missing trio were found on the property of Anadarko Petroleum, one of Colorado's largest oil and gas drillers - a previous employer of Christopher. Christopher was arrested and charged with three counts of first-degree murder and three counts of tampering with evidence. On Friday afternoon, the Frederick Police Department was informed by the Weld County Coroner's Office that the autopsies of all three bodies associated with the investigation have been completed. The coroner's office positively identified those three bodies as; Shanann Watts and her two daughters, Bella Marie and Celeste Watts. Neighbors were saddened by the news, especially because they said Shannan was excited to welcome her new bundle of joy to the world - a baby boy. "I don't know why he would want to kill her, the wife and the two kids," said Joe Beach, a neighbor of the family in Aberdeen. "Like I said, the two kids were nice kids. I don't know. To me, it's a senseless murder, and she was looking forward to that third child because she was pregnant with a boy ... Knowing her, and knowing the type of person she is, or I should say she was ... I'm surprised that this happened. And I really hate it." And neighbors weren't the only ones who were shocked by the news. "I'm still in complete shock about it," said Joe Duty, Christopher's former teacher. "Chris was one of the best students that I ever taught ... He was always punctual, did everything right." But looking back, Duty said he always questioned his student's nature and if he was hiding something. "I always wondered why he was so quiet," Duty said. "But now looking at what has happened. I'm wondering if there was anything way back in his head back then that he may have kept from everybody." She posted a photo on June 19 of some texts with her husband after sending him a sonogram. He replied that he loved the baby already. She posted: "I love Chris! He's the best dad us girls could ask for."